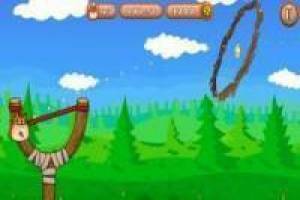 Show your great aim in Angry Cat Shot, the game in which you must throw the cat with the slingshot and get it to collect all the stars of the level. You will have to use the mouse of your PC to establish the power and direction of the shot, so you can go through the circles and collect the star. You must be careful not to crash into the hoops, because you will have lost and you will have to start over. You will overcome the levels successfully by getting all the stars of the phase and unlock the next one. There are thirty levels in total that will be increasingly difficult, which is a great challenge with this cat. 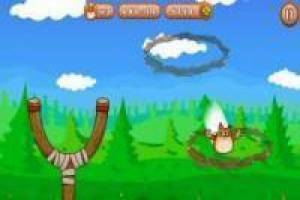 Enjoy Angry Cat Shot a very fun PC and mobile game. 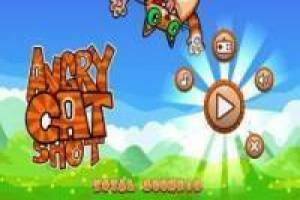 Enjoy the game Angry Cat Shot, it's free, it's one of our cats games we've selected.